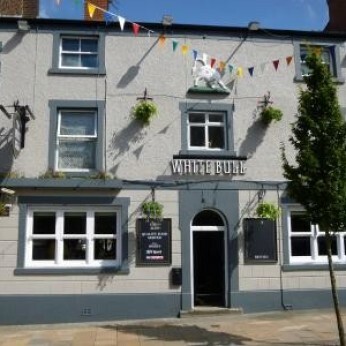 Friendly, family run pub in town centre. The pool and darts area is to the right of the entrance and largely separated from the main bar area. An impressive L shaped bar counter serves the rest of the pub which has been opened up into one large room and is pleasantly decorated with comfortable seating. The four real ales are usually always on although sometimes a guest is available - normally in place of the Dizzy Blonde.Garden area available where children are welcome. Not allowed inside pub.